09 Jan 2014 --- Leading health experts from across the globe have united to form ‘Action On Sugar’ - an unprecedented call to tackle and reverse the obesity and diabetes epidemic. Obesity is a major crisis facing the UK and practically every country around the world, and yet there is no coherent structured plan to tackle obesity. This group will initially target the huge and unnecessary amounts of sugar that are currently being added to our food and soft drinks. Action On Sugar will carry out a public health campaign, to make the public more sugar aware and thus avoid products that are full of hidden sugars. Children are a particularly vulnerable group targeted by industry marketing calorie dense snacks and sugar-sweetened soft drinks. The major initial focus of the group will be to adopt a similar model to salt reduction pioneered by Consensus Action on Salt and Health (CASH). This model has become one of the most successful nutritional policies in the UK since the Second World War, by setting targets for the food industry to add less salt to all of their products, over a period of time. As this is done slowly, people do not notice the difference in taste. Salt intake has fallen in the UK by 15% (between 2001-2011) and most products in the supermarkets have been reduced between 20 and 40%, with a minimum reduction of 6,000 strokes and heart attack deaths a year, and a healthcare saving cost of £1.5bn. A similar programme can be developed to gradually reduce the amount of added sugar with no substitution in food and soft drinks by setting targets for all foods and soft drinks where sugar has been added. Action On Sugar has calculated that a 20 to 30% reduction in sugar added by the food industry which, given a reasonable timeframe (3-5 years) is easily achievable, would result in a reduction in calorie intake of approximately 100kcal/day and more in those people who are particularly prone to obesity. This reduction in calorie intake is predicted to reverse or halt the obesity epidemic and will also have a significant impact in reducing the burden of chronic disease. This campaign will focus therefore on convincing the food industry, the government and the Department of Health (DH) that this is by far the best way to tackle the obesity epidemic. This programme is practical, will work and will cost very little. This also gives an opportunity to the food and soft drinks industry to shift towards healthier options without having a significant effect on their profit margins. Added sugar in our diet is a very recent phenomenon (c150 years) and only occurred when sugar, obtained from sugar cane, beet and corn, became very cheap to produce. No other mammal eats added sugar and there is no requirement for added sugar in the human diet. This sugar is a totally unnecessary source of calories, gives no feeling of fullness and is acknowledged to be a major factor in causing obesity and diabetes both in the UK and worldwide. It's not just the well-known brands, such as Coca-Cola which has a staggering 9 teaspoons of added sugar, but flavoured water, sports drinks, yogurts, ketchup, ready meals and even bread are just a few everyday foods that contain large amounts of hidden sugars, the group claims. • To educate the public in becoming more sugar aware in terms of understanding the impact of sugar on their health, checking labels when shopping and avoiding products with high levels of sugar. • To ensure that children are highlighted as a particularly vulnerable group whose health is more at risk from high sugar intakes. • To ensure clear and comprehensive nutritional labelling of the sugar content of all processed foods. • At the same time we would conduct a Parliamentary campaign to ensure the government and DH take action, and that, if the food industry do not comply with the sugar targets, they will enact legislation or impose a sugar tax. Professor of Paediatric Endocrinology at the University Of California, San Francisco Robert Lustig; "’Common sense' and the food industry say that all calories are the same. But the science says that sugar is different - that sugar is dangerous exclusive of its calories, just like alcohol. Children are the primary targets of marketing campaigns, and the least able to resist the messaging. 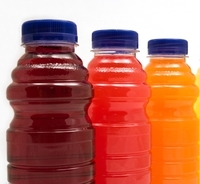 That makes sugary drinks like the "alcohol of childhood", which makes them obese. At the same time, this very large sugar intake is likely to put children at greater risk of developing fatty liver and diabetes”. Assistant Professor of Medicine at the University of Ottawa, Canada, Yoni Freedhoff; “Not only has added sugar found its way into virtually everything we eat, but worse still, the use of sugar as a means to pacify, entertain and reward children has become normalized to the point that questioning our current sugary status quo often inspires anger and outrage. We need to de-normalize our new sugary normal and re-relegate sugar to the role of occasional treat rather than its current role of everyday, anytime, crutch”. Professor of Clinical Epidemiology at the University of Liverpool, UK, Simon Capewell says, “Sugar is the new tobacco. Everywhere, sugary drinks and junk foods are now pressed on unsuspecting parents and children by a cynical industry focussed on profit not health. The obesity epidemic is already generating a huge burden of disease and death. Obesity and diabetes already costs the UK over £5billion every year. Without regulation, these costs will exceed £50billion by 2050”. In response to claims made by 'Action on Sugar', a newly formed group with an interest in sugars and public health, as part of the group's launch today, Barbara Gallani, Director of Regulation, Science & Health at the Food and Drink Federation, the voice of food and drink manufacturers in the UK, said: “Sugars, or any other nutrient for that matter, consumed as part of a varied and balanced diet are not a cause of obesity, to which there is no simple or single solution. That's why the food industry has been working on a range of initiatives with other players to tackle obesity and diet related diseases through a number of interventions.